Rabbi Zvi Telsner (photo: AJN file). CHILD sexual abuse victims and communal leaders have welcomed the resignation of the Yeshivah Centre’s senior rabbi, who stood down on Tuesday, admitting that his conduct towards victims and their families has not be in line with the values of Yeshivah. 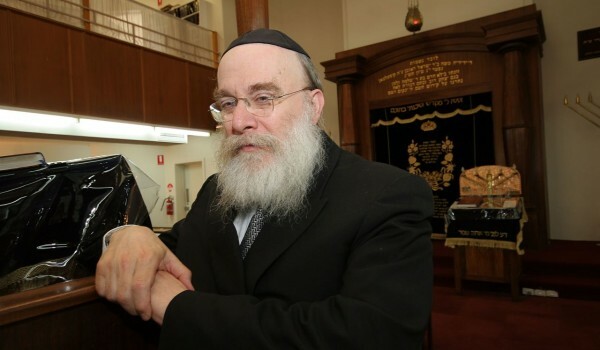 Rabbi Zvi Hirsch Telsner announced his decision after he clashed with a victim last week. The AJN understands that the victim spoke to Rabbi Telsner to raise a problem regarding someone in a position of leadership at Yeshivah. Rabbi Telsner allegedly dismissed the complaint, said that people were just trying to destroy Yeshivah, referred to victim Manny Waks’s father as a “meshugane” and said that another victim was just causing problems. Rabbi Telsner also allegedly told the victim of child sexual abuse to “get out”. He told the COM that Rabbi Telsner is “clearly bringing the institution into further disrepute and at this point, in light of his untenable and offensive statements and his proven lack of commendable leadership in the past in issues relating to sexual abuse, the appropriate response is that he be immediately stood down”. The AJN understands Rabbi Telsner and the COM met to discuss the issue and what action would be taken, which is when he informed them of his decision. “As a senior rabbi at the Yeshivah Centre I acknowledge and endorse its values, policies and message of continued support and compassion for victims of child sexual abuse, their families and all of the community,” Rabbi Telsner said in a letter to the community. Earlier this year, the Royal Commission was told that in a sermon Rabbi Telsner gave at Yeshivah, the family of Manny Waks felt they were being condemned for speaking publicly about the abuse he suffered. The resignation was also hailed by victims advocacy group Tzedek and Jennifer Huppert, president of the Jewish Community Council of Victoria, who said it was a “significant step towards healing the wounds from the cases of child abuse at the Yeshivah Centre, and the serious issues highlighted at the Royal Commission”. Rabbi Telsner did not respond to calls from The AJN.